UGC, KPI, CTR…why does social media terminology start to sound like military speak? Let us help you decode social media management with this crash course on how speak the social media lingo. Social media strategies include a variety of content, including the below. Organic Posts: Posts that live on your page feed and reach your audience following naturally rather than artificially with paid efforts. Boosted/Sponsored Posts: Paid advertising where existing posts are promoted toward a target audience to expand reach outside of your organic following. 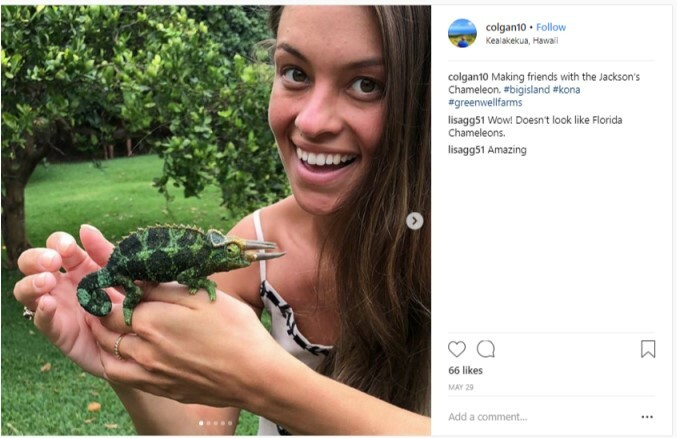 User-Generated Content (UGC): Content posted by other users featuring your brand, whether via paid collaborations or unpaid mentions. 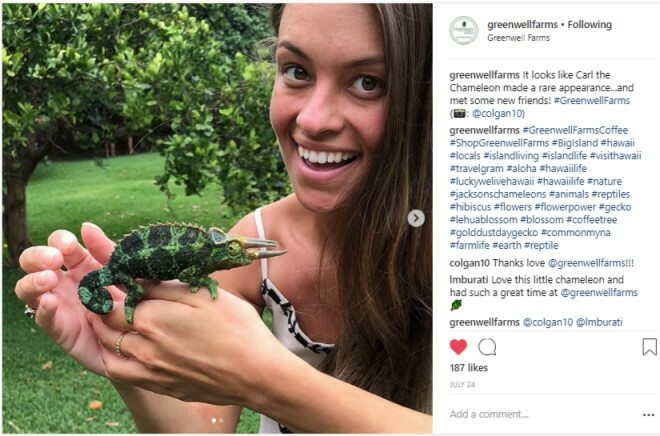 Above is an example of UGC, reposted by the brand featured, Greenwell Farms. Influencer Marketing: Grassroots marketing gone social. Partnering with individuals with influence (influencers) to amplify your brand’s message to their audiences. Influencer marketing harnesses the power of credibility created by peer endorsements. Whether you are pursuing Facebook marketing or LinkedIn marketing, social media would just be content without KPIs to measure success and analyze your social media strategy. Social media metrics include data that gives you insight as to how your social media marketing is working. Engagement: Social media actions taken in response to your brand’s content. Each platform calculates this in a different way, though it usually includes likes, comments, shares and clicks. 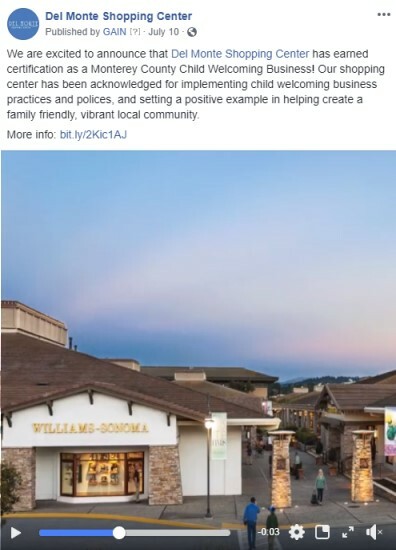 Various engagements, including likes, comments, shares and 10-second video views, are shown underneath this post on Del Monte Shopping Center’s Facebook page. Engagement Rate: A percentage calculated by the total number of engagements (likes, comments, shares, etc.) over the total reach of a post. This metric is a great KPI for tracking how actively involved your audience is with your content, also marking what content resonated with them the most. Post Clicks: Total clicks on any area of the post including the image, link or copy. Make sure you look at link clicks only when calculating click-through-rate so data isn’t skewed. Click-Through-Rate (CTR): A percentage calculated by the total number of link clicks over the total impressions of a post. This metric is a great KPI to keep an eye on when optimizing ads. This is an important marker for those whose social media objectives include driving website traffic. Follower Growth: How much your audience size changes over time per platform. Though follower growth is often known as a “vanity metric” for show, this metric can serve as a marker for various areas, providing insight into whether your paid promotions are converting viewers to opt-in audience members, if your existing content resonates with your audience, and if your post frequency is ideal. Impressions: The total number of times your post or ad has been displayed in social feeds (may be more than 1x per user). Reach: The number of unique users who have seen your content. Organic Reach: The number of unique users who see your content not due to paid efforts (your audience followers). Paid Reach: The number of unique users who see your content due to paid efforts (can expand past your audience followers). Average Engagement Per Post: Total engagements divided by total posts for the month. We typically analyze this metric per channel in addition to engagement rate to look at changes over each month. A good social media strategy is creative, builds a community of likeminded users, elicits response and drives ROI. If you’re ready to put your social media to work? Learn more about social media marketing, analytics and Orange Label’s social media capabilities at https://orangelabeladvertising.com/marketing-services/.